Nobu Hotels’ first European site in Shoreditch features 148 guestrooms and suites alongside London’s newest Nobu Restaurant. At CES, we understood that Nobu Hotel Shoreditch is a showcase for Nobu Hotels. 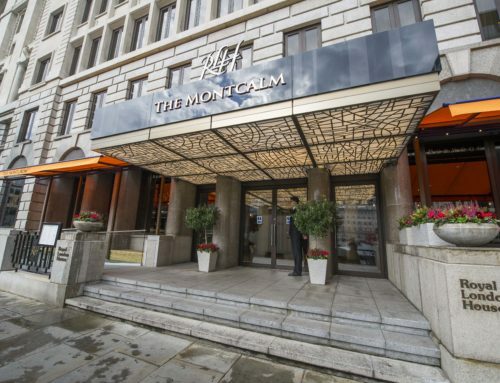 To match the outstanding work of the architects and interior designers, the quality and finish expected of the catering, dining and bar areas could only be completed to the most exacting standards. 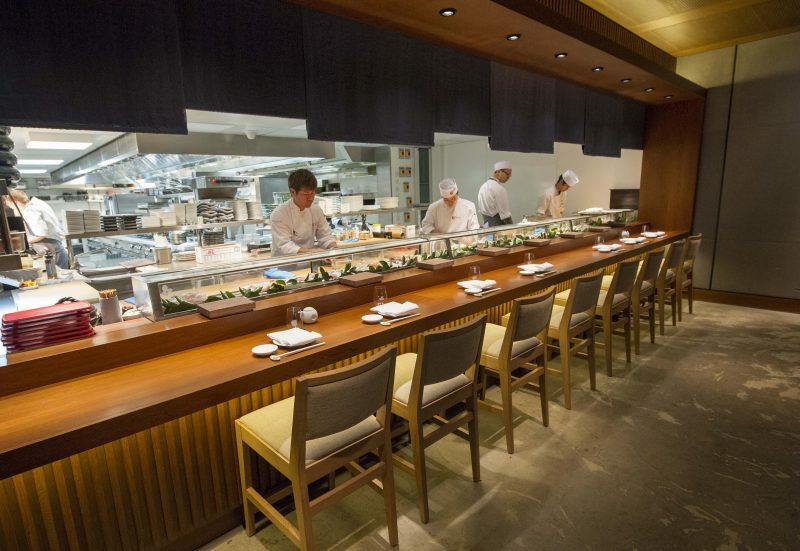 CES provided a comprehensive service that included the design development, installation and fit out of the kitchen and back of house facilities for The Nobu Restaurant & Bar and the lobby lounge kitchen and bar. Our project managers liaised with the architect, several interior designers as well as the construction teams and tradespeople. Each party – quite naturally – focused on different points and with different priorities and preferences. 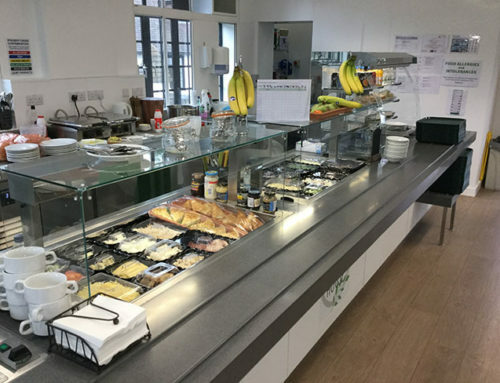 CES worked hard on collaboration and building partnerships, capitalizing on the strengths of each discipline to ensure a smooth implementation of the foodservice facilities in tune with the other building works. CES kitchen designers maximized the use of space in the main basement kitchen and upstairs lobby lounge kitchen, which service both the 240-seat restaurant and the hotel’s banqueting, event catering and private dining needs. 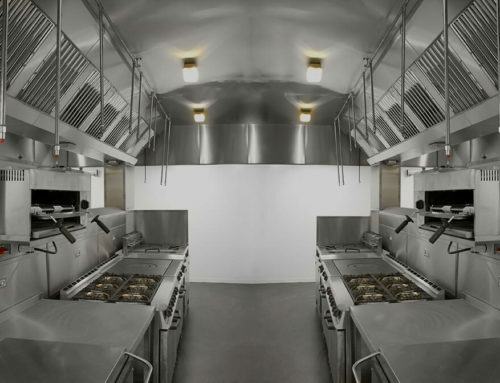 The designs catered for separation of the key disciplines and included a dedicated room service kitchen and pastry, fish and food preparation sections. 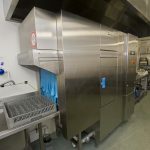 Bulk storage areas were also designed and fitted out, along with the back of house service areas and a staff dining facility. Core to the main open-to-view kitchen design was a seven-metre long Angelo Po central island cooking suite. 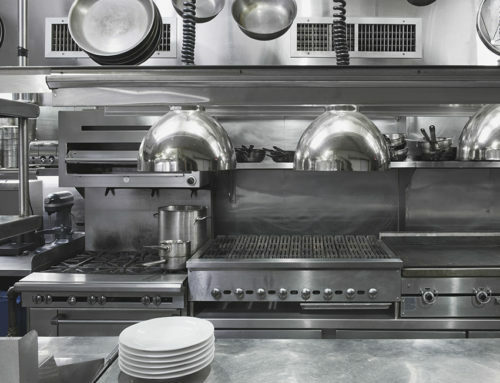 Nobu’s preferred range format, it was so large it had to be craned into the building in three sections, manhandled down to the basement level and then welded together under a one-piece top and then, finally, polished. A crucial part of the project design was to minimize heat output from the basement kitchen and back of house areas, to reduce demand on ventilation and M&E infrastructure. CES designers utilized ‘remote’ refrigeration to direct waste heat externally. 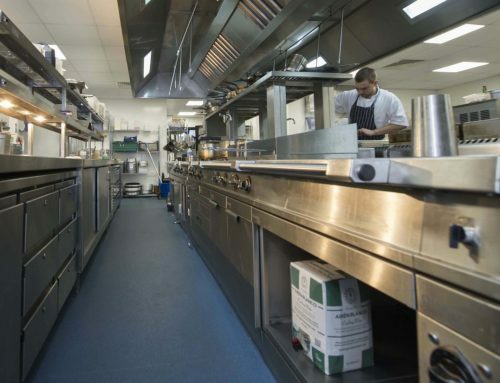 The compressors are sited outside of the kitchen itself and linked to fridges and freezers via dedicated pipework. CES also specified a Meiko rack transport dishwasher, featuring integral heat recovery. 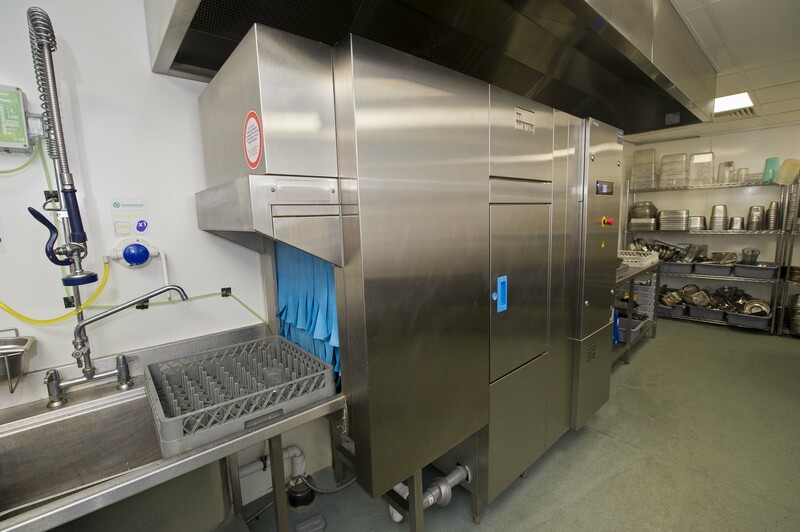 The machines are compact and noted for their reliability and good wash quality, but most importantly, they effectively capture their own waste steam, ensuring minimal heat is introduced into the dishwash and kitchen spaces, helping to make the area a more pleasant space to work in.